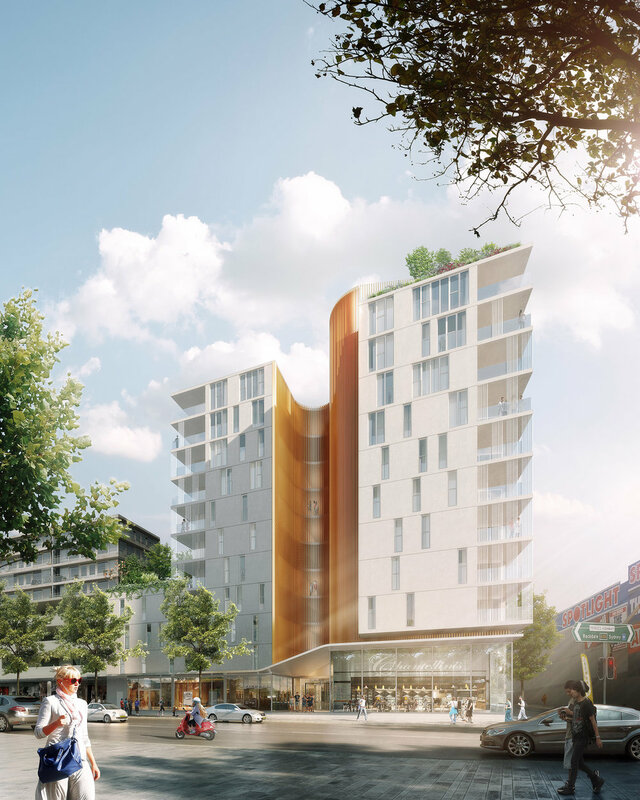 FUSE wins design competition for a new mixed use building. The challenge was to design a vibrant mixed-use residential building, achieving the highest level of amenity for future residents whilst designing out the impacts of site constraints. The site strategy of splitting the building and creating a central breezeway allowed us the possibility of reorienting all apartments away from the east and west, whilst still achieving 98% natural cross ventilation and 75% of apartments achieving a minimum of 2 daylight hours on the shortest day of the year. Materials, construction method and sustainable design were carefully considered, tailored to the needs and constraints of the traffic-heavy site. Read more about VIEW here.